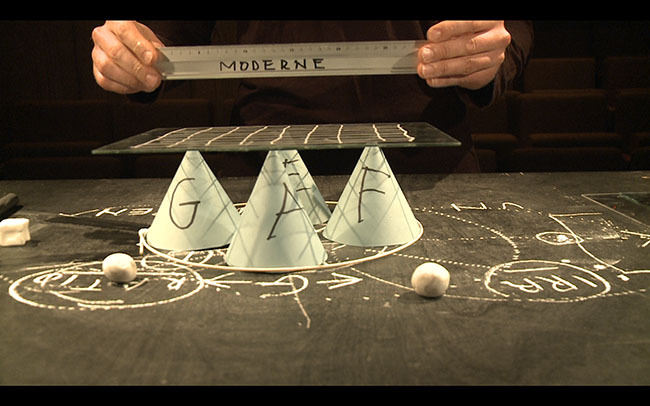 Nikolaus Gansterer translates forecasts about our future into theoretical constructs, which are in danger of collapsing. 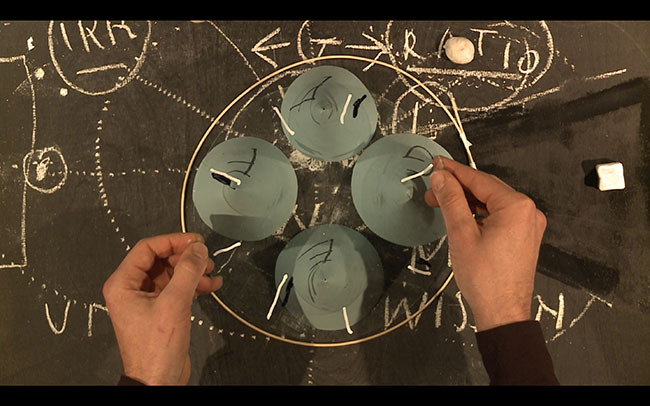 Expanding on his work “Drawing a Hypothesis”, he is developing a performative philosophy of diagrams of bets. 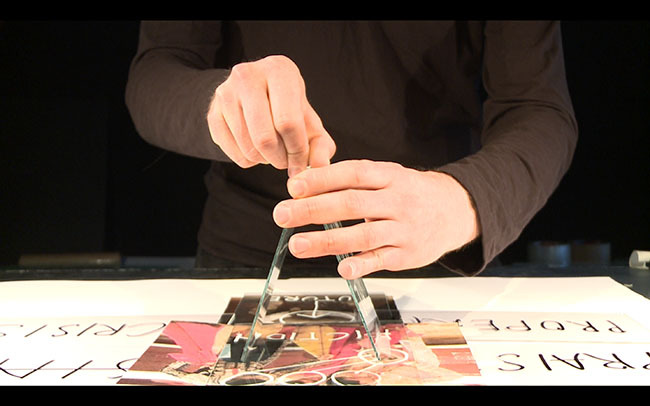 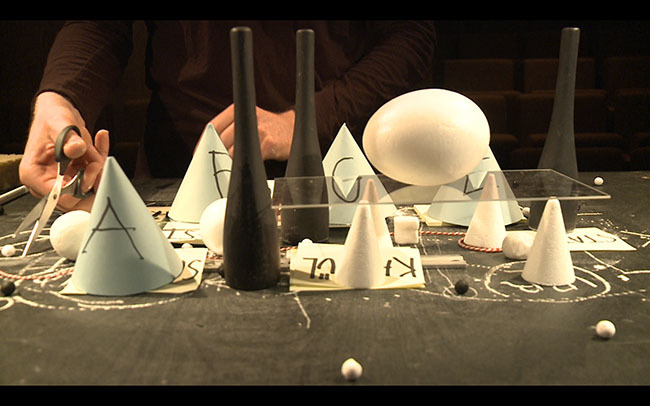 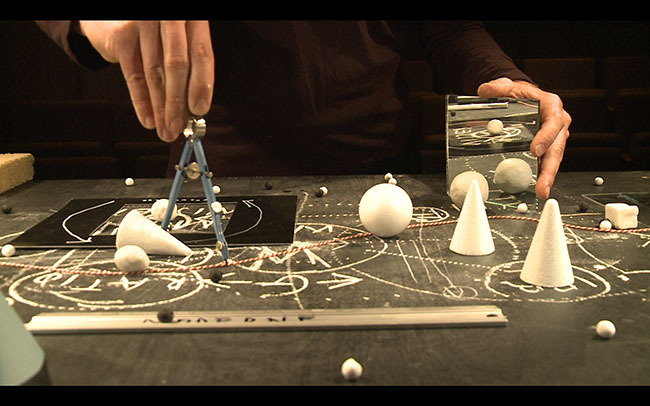 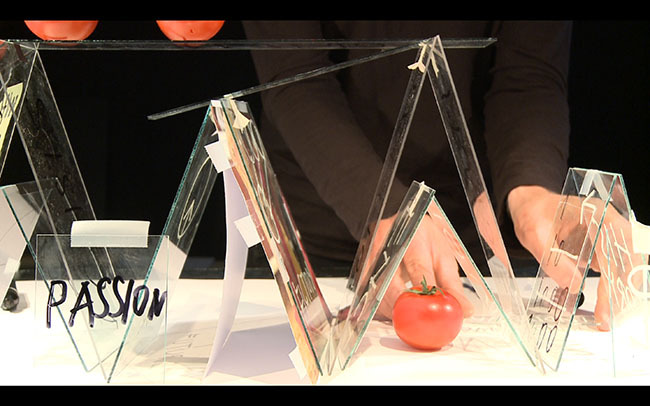 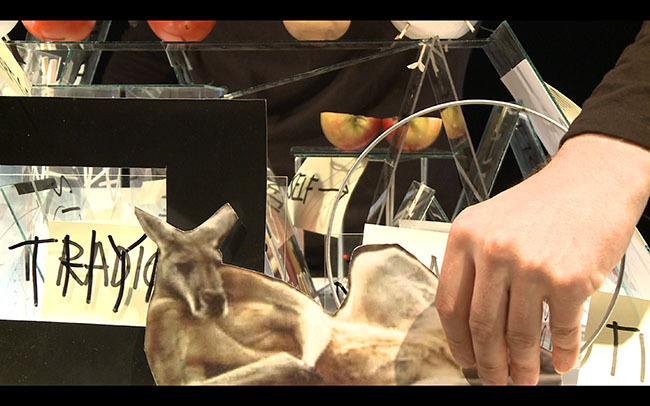 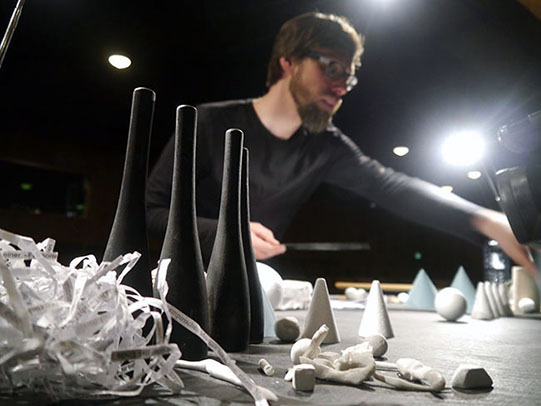 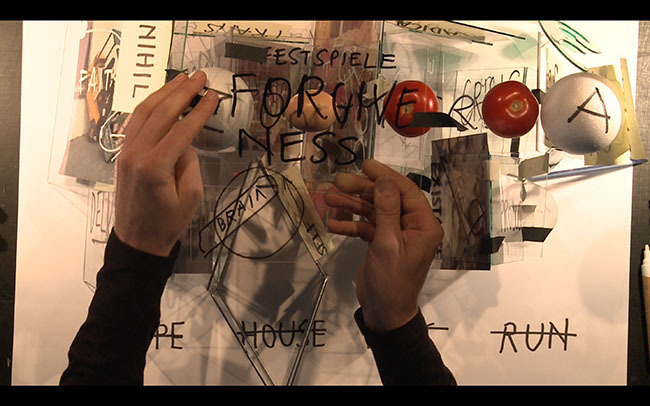 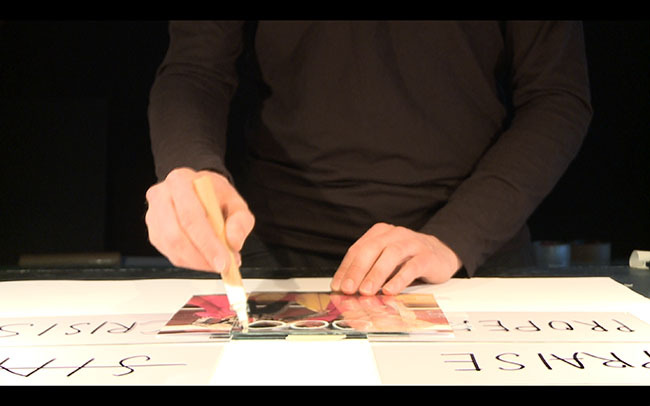 In his performances the artist deals with the fundamental question of how thought processes can be visualised. 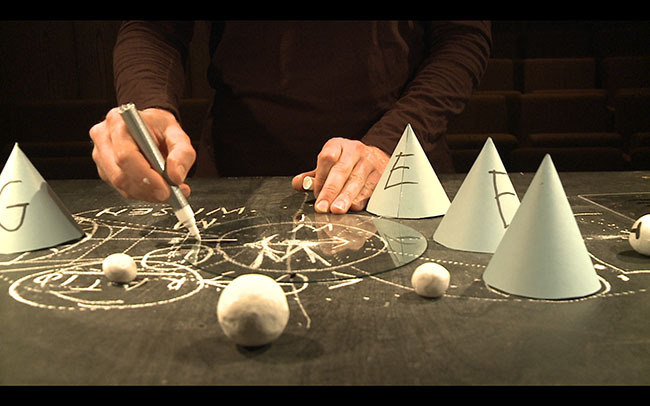 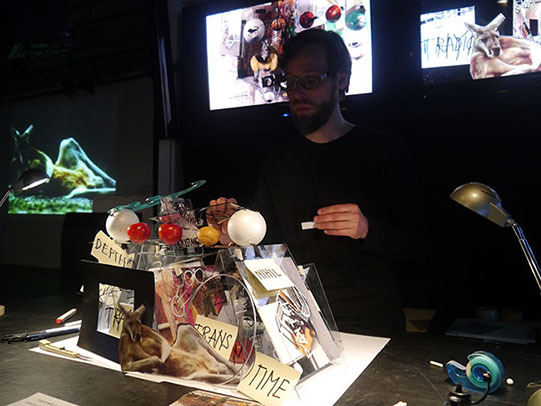 Using drawn and assembled constellations, he develops – simultaneously with the lectures by Elena Esposito and Pieter De Buysser – associative constructs of ideas. 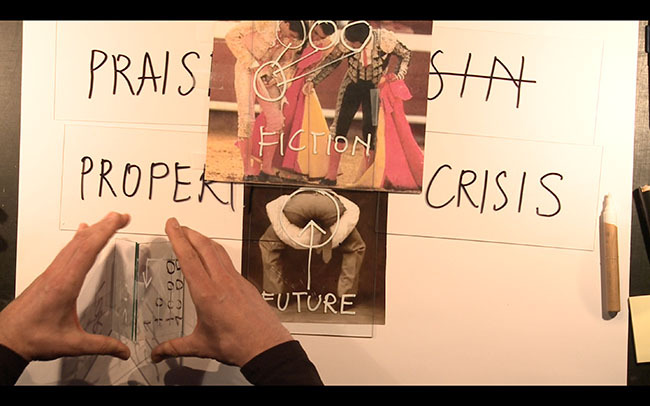 Where the Italian sociologist Elena Esposito demonstrates the treacherous pitfalls of observing and constructing the future, the Belgian writer Pieter De Buysser rehabilitates the practice of speculation as a basic human necessity. 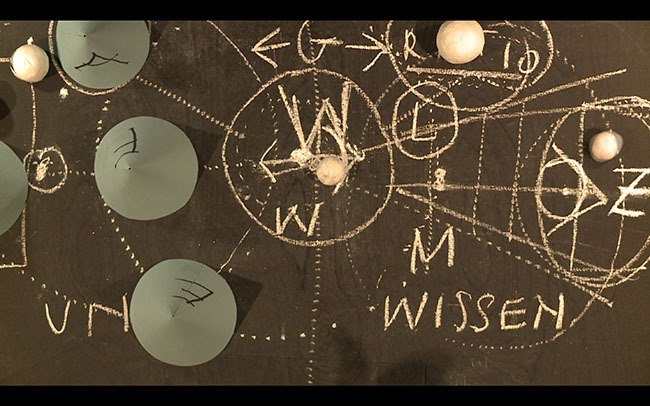 The fragile drawings and models represent Gansterer’s rigorous development of a specific language for the material quality of thought processes and a playful way of dealing with the complex levels of the meaning of speculative concepts. 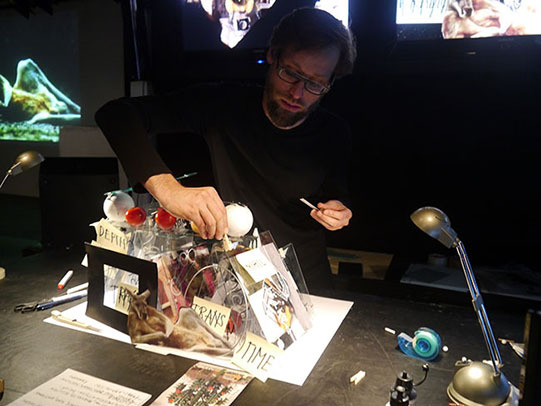 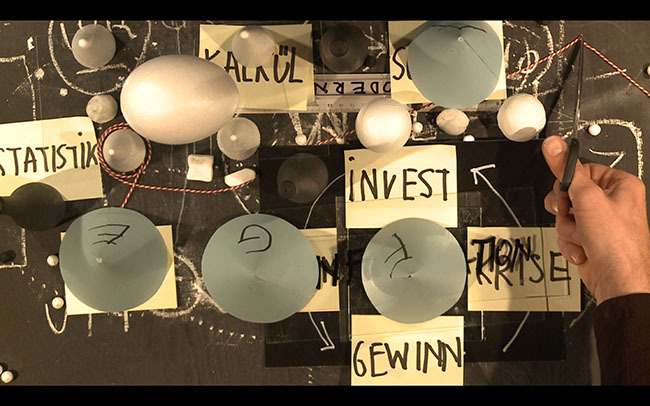 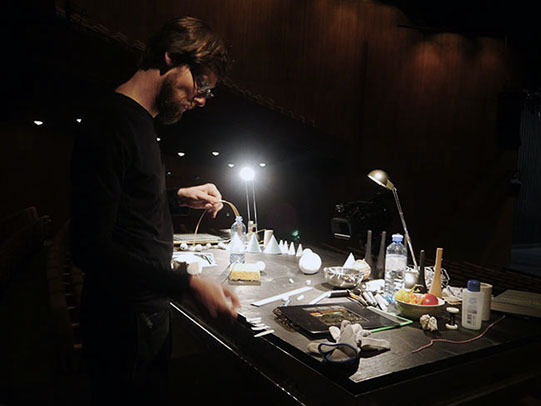 The two lecture performances were premiered at the Berliner Festspiele 2013 in the framework of the Foreign Affairs Festival focusing on the phenomenon of the bet: an extensive examination of doubt, contingency and meaning in economy and society reflecting the enormous potential of speculation. 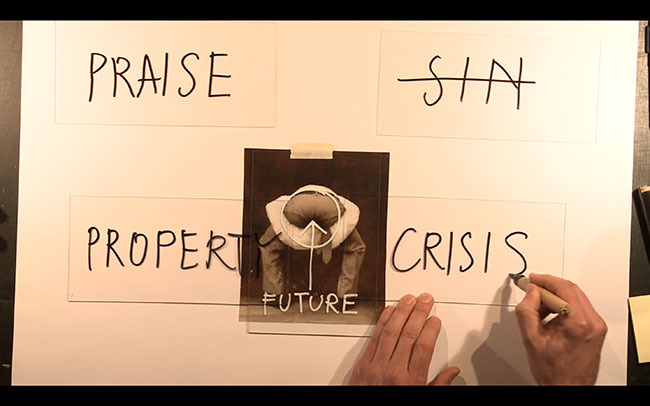 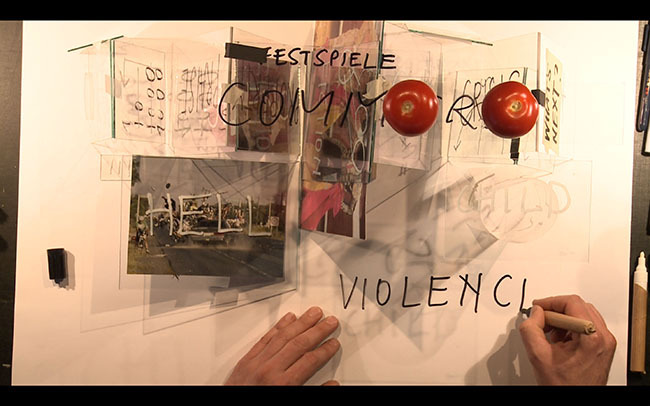 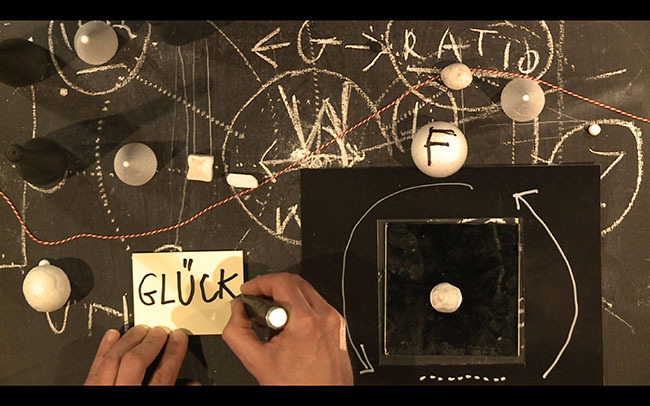 Nikolaus_Gansterer_The_Betting_Lecture-1_clip from Nikolaus Gansterer on Vimeo.